Place a on button pressed block to run code when button A is pressed. Place a if block and check the value returned by the pick random true or false block. pick random true or false returns true or false randomly. Place a show icon block under the if and pick one of the images. 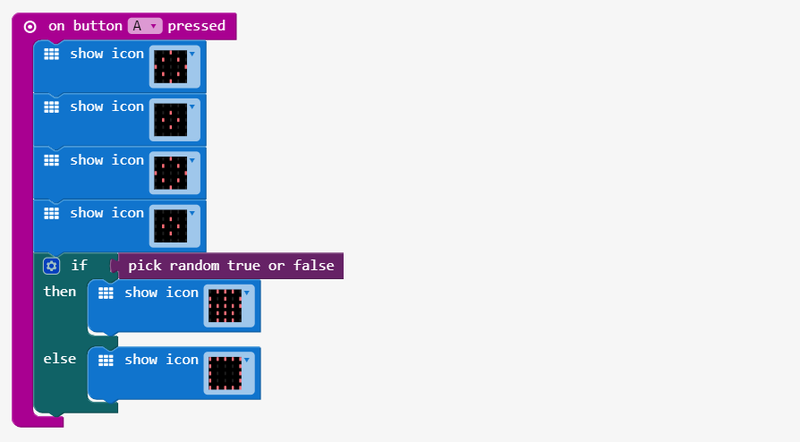 Click Download to transfer your code in your micro:bit and press button A to try it out. Place multiple show icon blocks before the if to create a coin flipping animation. This article comes from Coin Flipper.